Every app needs some kind of settings that allows users to modify app’s features and behavior. 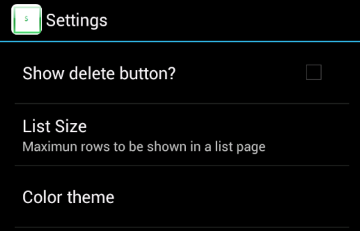 Android has built-in support for settings. 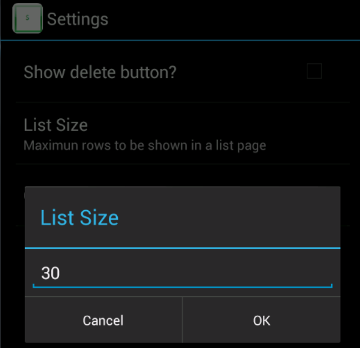 One can build the settings using use Android’s Preference API. If you want to provide settings for your app, you should use Android’s Preference APIs. 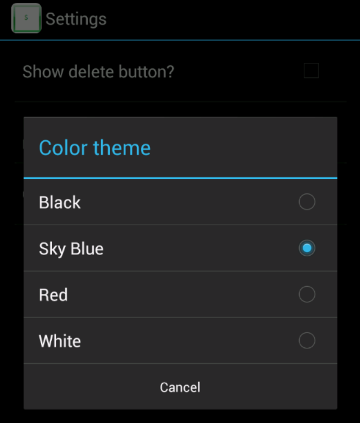 In this example I will show you how to build the settings using android preferences. In this example, we will add a checkbox setting, a text setting to set a value and a list setting which allows one to select a value from the list. Add an XML file of type Preferences in the res/xml folder. Add the values in strings.xml. Use string-array to add a list of values. Create an XML file of type menu in the res/menu folder. Add an item element for settings activity. Set showAsAction to never so that it always appears in the overflow menu. To display your settings in an activity, you need to extend android provided PreferenceActivity class which in turn extends Activity class. The PreferenceActivity knows how to persist the settings associated with each Preference when the user makes a change. Call addPreferencesFromResource to set the preferences XML. Override onCreateOptionsMenu to inflate menu.xml and add it to the menu. Override onOptionsItemSelected to open settings screen as you click on settings item. You will know the item clicked comparing the item id. Call startActivity(new Intent(this, PreferencesExampleActivity.class)) to start the settings screen. Click on Settings to view settings menu.